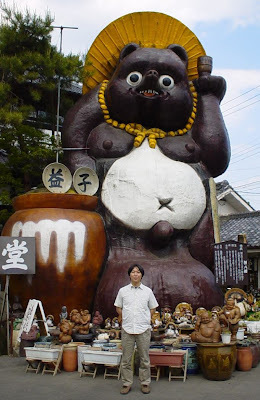 On Monday I posted a commercial with some anatomically exaggerated animals because I though my readers would enjoy looking at a raccoon mascot with giant balls. 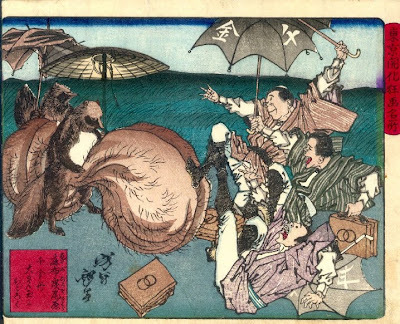 Little did I know that this was just the tip of the raccoon balls iceberg. 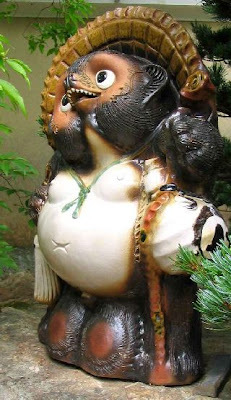 Apparently it was not a raccoon, it was a Tanuki, a japanese raccoon dog that is often depicted with giant testicles as a symbol of financial luck. 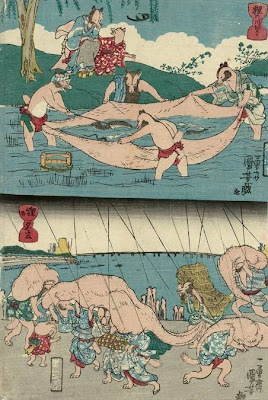 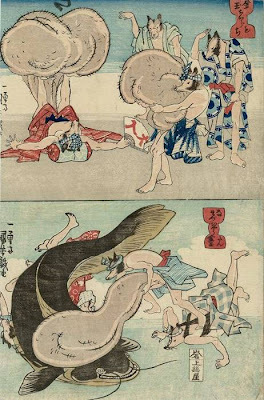 The comedy that flows from raccoon balls is endless, here's some woodblock prints from the 1830s. 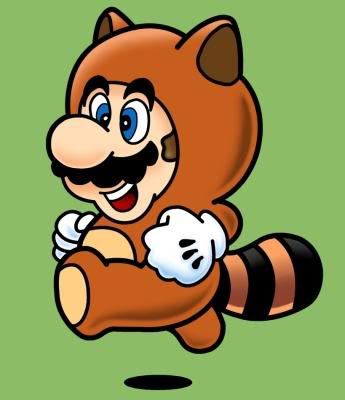 My mind was blown when I realized that Mario's flying suit is a raccoon dog. 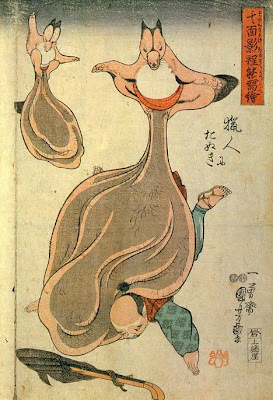 Thank god they omitted the balls. 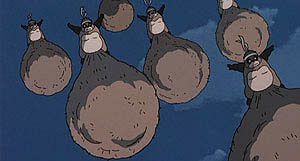 If you want more raccoon balls, get Pom Poko it's a whole movie about an epic raccoon battle where they use their testicles as weapons. 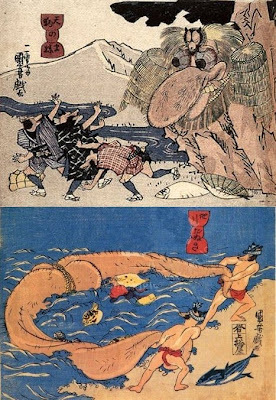 It's a pretty good watch, here's a notable clip.